Female Soccer Tournament Trophy - 19"
Our Female Soccer Tournament Trophy – 19” has sparkling swirl column in your choice of color and golden shooting stars trim. 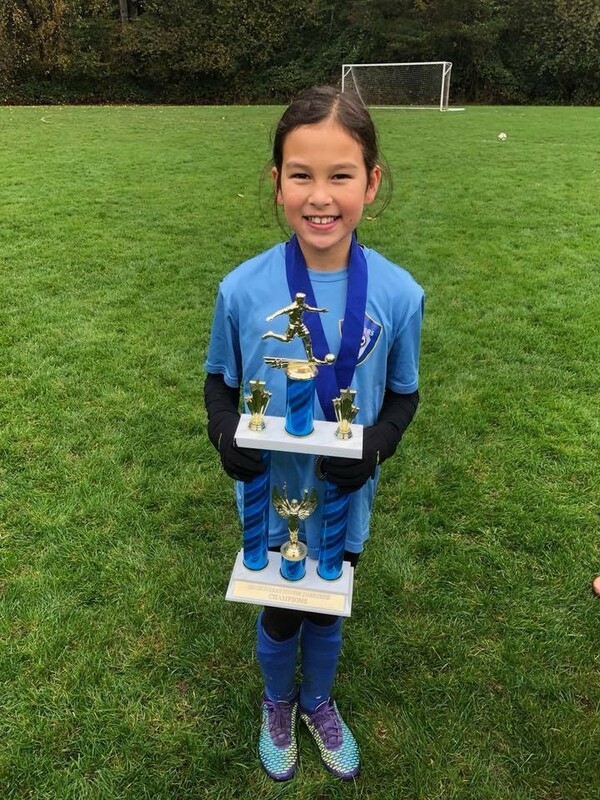 A 5 inch girl soccer player tops the trophy with a victory figure below. 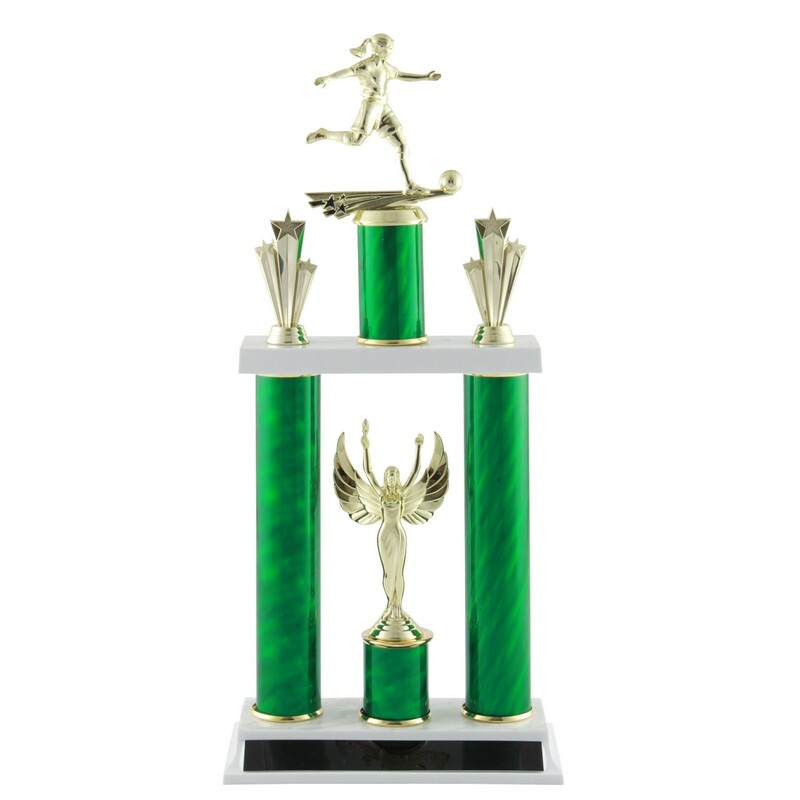 Measuring a substantial 19 inches tall, this trophy is the perfect award for your next soccer tournament! Female Soccer Tournament Trophy - 25"
Deluxe Female Soccer Tournament Trophy - 24.5"
Female Soccer Tournament Trophy - 16"